As most of you know, every month we take a road trip and then write about the experience and destination. 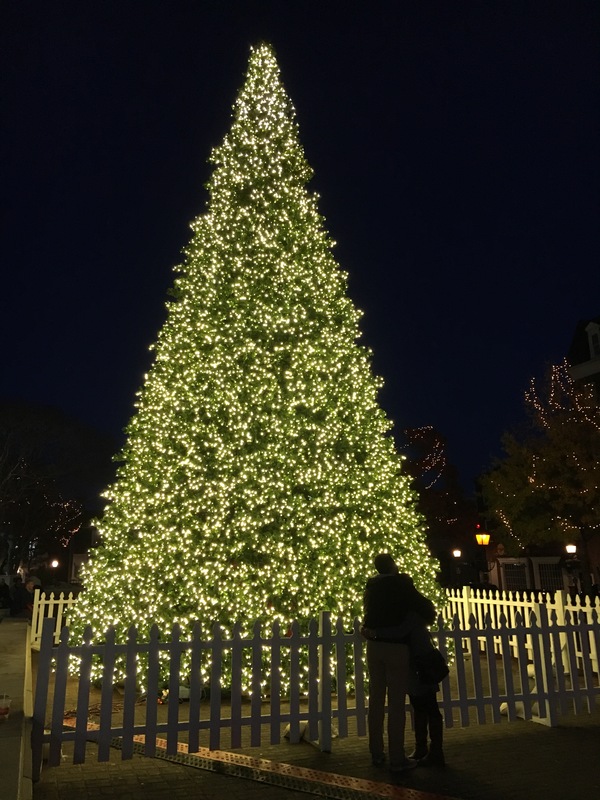 Each December, however, my road trip is about our home town of Alexandria, Virginia and the history that has been created here and about the history still being made. This past year saw the sale of the Old Dominion Boat Club building to the city in order to create the new Portside Park at the foot of King Street. As of this writing, the project is still under construction due to the difficult weather (rain) that we have encountered this past year. It looks like the final stages will not be completed until late winter, but Portside Park promises to be a great addition to the Old Town Alexandria experience. The park will feature free-to-the-public themed happenings in history, art, music and fitness with activities for families and for adults. The addition of the now-popular “pop-up” experiences and events will be a big part of Portside throughout the year. Alexandria will reclaim her history as a seafaring port with the acquisition of the tall ship Providence. The Providence will provide a living link to the city’s rich marine, naval, and Revolutionary history. The Providence is a replica of the first ship authorized to serve in the Continental Navy and John Paul Jones’ first command. The Providence will set the tone for the city as the Schooner Alexandria did years ago. The waterfront development began a little over a year ago and much has happened. The new Old Dominion Boat Club opened last year and is a beautiful addition to the waterfront as is the year- old Indigo Hotel and Hummingbird Restaurant. During the excavation of the Indigo Hotel, Alexandria’s seaport was once again exposed. The hull of an old wooded vessel was unearthed and preserved. As excavation began for the adjoining Robinson Landing project three more hulls were found. The theory goes that these ships were scuttled along the shoreline to act as a foundation for land fill in order to move the shore closer to the deep channel in the Potomac River. These archeological finds slowed the construction so that the timbers could be removed and preserved. Alexandria’s seafaring legacy is found everywhere. 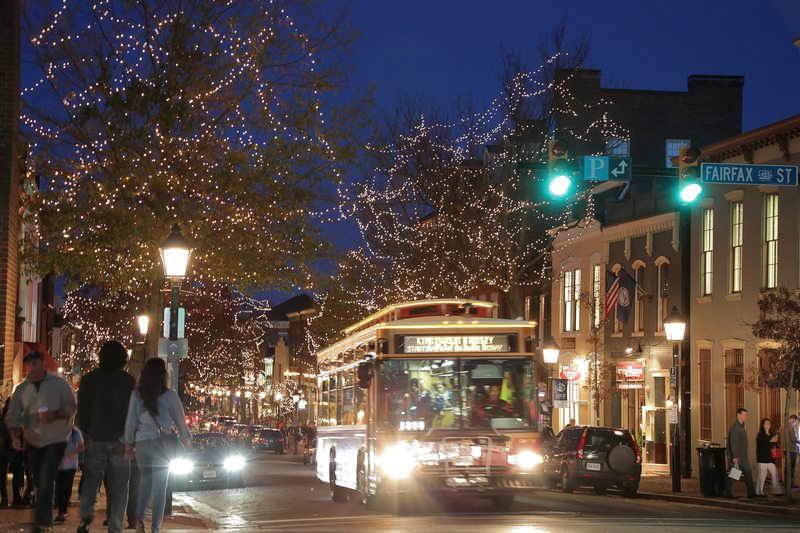 Even though the waterfront development won’t be complete until spring, there are many reasons to visit Alexandria in December. The first Saturday in December Alexandria will host the annual Scottish Christmas Walk which kicks off the Christmas season. This hour- long parade is always a hit with military bands, school bands, fife and drums, and lots of bagpipes. The highlight of the parade is the mass pipes in front of city hall as the finale to the parade. The Christmas tree is lit as are the holiday lights that decorate the trees that line King Street. 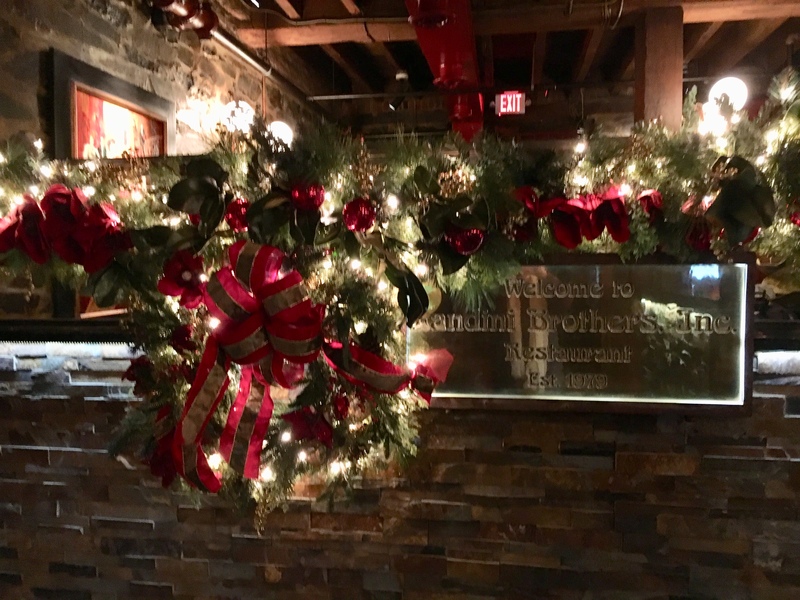 The shops and restaurants are decorated and look forward to your visit. Most of the shops in Old Town are a one-of-a-kind store. While retail has suffered over the years, Old Town is home to some businesses that started here and are still here thirty years later. Some of these shops include Imagine Artwear, Kings Jewelry, Gold Works, Lamp Lighter, America, Christmas Attic and Comfort One Shoes. There are also many restaurants that have been in Old Town for many years and the choices of dining are widespread from casual to fine dining. Obviously, most of our favorites are those restaurants whose ads appear every month in the issue. Some of the Old Town classic dining spots have been acquired by new owners but the restaurant has not changed while other new owners have opened their own concepts which have increased the choices of dining options. Although the largest concentration of restaurants is near the waterfront, there are many fine restaurants that run all the way to the King Street Metro stop 18 blocks from the waterfront. Speaking of the waterfront and the metro, a free trolley runs every 15 minutes between the waterfront and the King Street Metro, pausing at many stops along the way enabling passengers to get off and on at their leisure. Even though King street is the main drag in Old Town, there are a lot of other shops and restaurants on the adjacent streets throughout town. The sandwich boards at the corners of the intersections let you know what awaits on Old Town’s many charming streets. 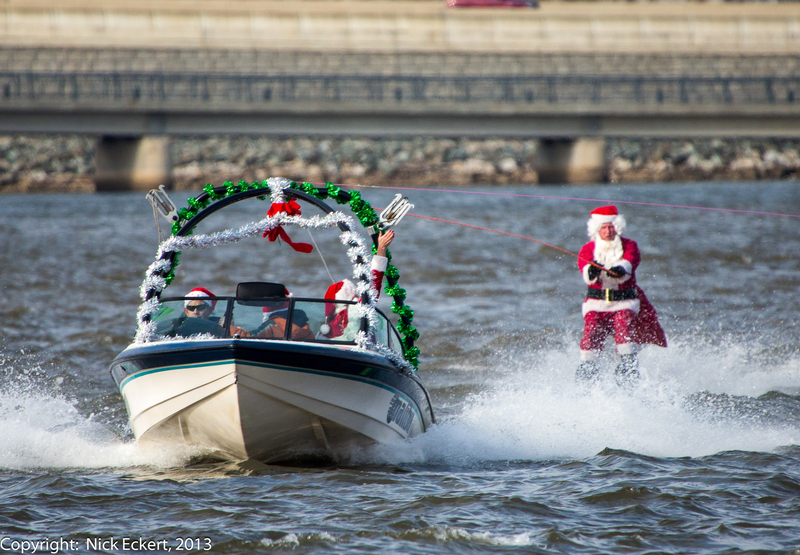 There are lots of things happening in Old Town during the holiday season (see the calendar of events in this issue) but one of the “coolest” might just be watching Jolly Old St. Nick do some waterskiing on the Potomac on Christmas Eve! This is a must see. I encourage all of you to consider the advertisers in this issue as your first stops for dining and shopping. They are the people that make printing this column possible each month as well as the entire issue! 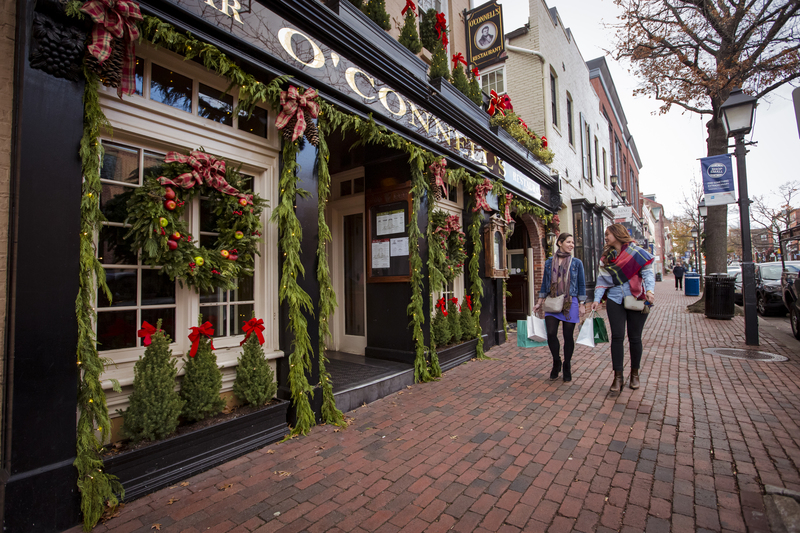 Take a road trip this month and discover the magic of Old Town Alexandria. Wishing a Merry Christmas and a Happy Holiday to you all! « Ya Gotta Have Faith….